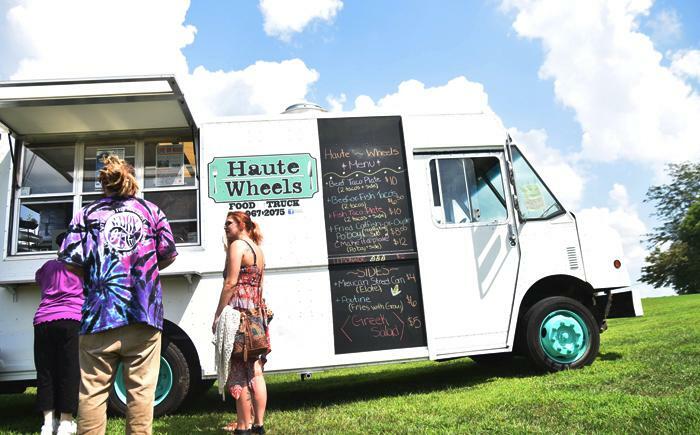 An environmental activist group hosted a party with a purpose Sunday at Alto Vineyards to raise awareness and protest the practices of hydraulic fracturing — also known as “fracking” — in southern Illinois. The event was organized by Southern Illinoisans Against Fracturing Our Environment. Live music from several local bands was featured on a stage erected on the sprawling lawn of Alto Vineyards. “Fracking isn’t banned in Illinois, so at any moment we could potentially see an influx of fracking permits,” said Tabitha Tripp, a board member and founder of SAFE. Fracking is a method of retrieving natural gas from the Earth by injecting water, sand and chemicals into shale rock at high pressures. The process has been said to lead to water pollution and wastage, the release of chemicals and carcinogens toxic to humans and wildlife and the contamination of soil and groundwater through spills of fracturing chemicals, according to the Yale School of Forestry and Environmental Studies. Brent Ritzel, the event’s lead organizer, said when people misunderstand this environmental issue, fracking seems falsely convoluted. Ritzel said earthquakes are one of the reasons fracking is so problematic. One of the most active faults in the United States, the New Madrid Fault Line, runs through the region. Hydraulic fracturing has been found to directly cause a small number of earthquakes in the United States, according to a 2015 study conducted by the United States Geological Survey. Eamonn Talkington is a member of the band Dead Pretty, which was part of the Fest’s musical lineup. Talkington listed a passionate concern for the planet as one of his reasons for being involved with the event. “If you look at places in north Texas, there are areas where they can no longer drink the water at their house because of hydraulic fracturing,” Talkington said of what he called a non-partisan issue. “Around here you’ll see a lot of Democrats and Green Party people and they kind of present this as a divided issue, but it’s not really. Another big concern SAFE members have with fracking is the harm it could do to southern Illinois’ tourism. 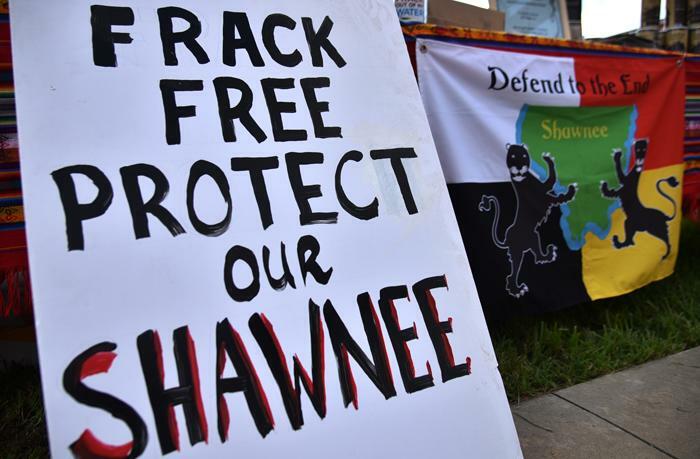 “Driving around southern Illinois, mostly what you see are small farms, rolling hills, small residences, the beauty of the Shawnee National Forest — those would become neighbors to frack sites,” said Lucia Amorelli, a volunteer at the event. Sam Stearns, a member of SAFE, said tourism — particularly the local wine trail — could be at stake as well. Ritzel said the problem can only be solved by getting the community educated about the issues and involved in the political process of banning fracking in Illinois. Way to go Brent and Tabitha. 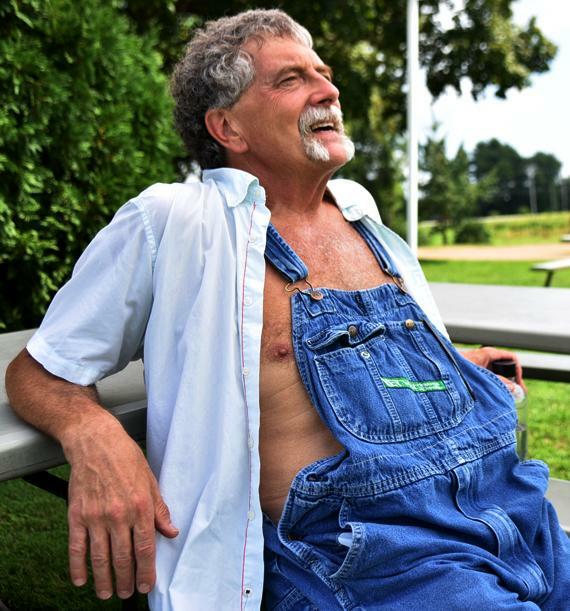 I will copy this article and have it for our presentation at Rend Lake in October, Brent. 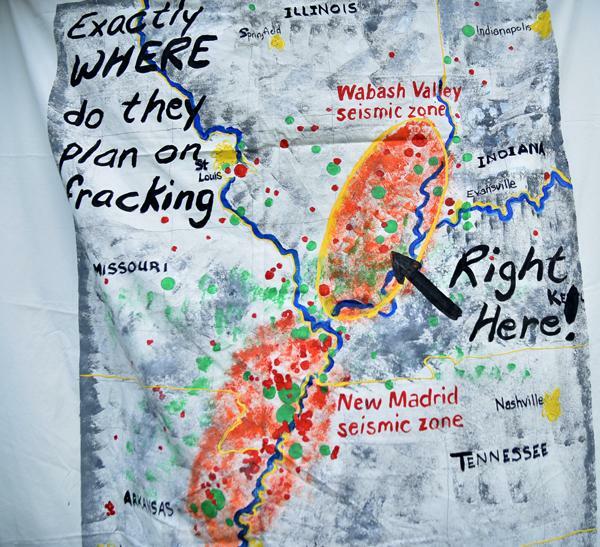 Could we use your canvas map that shows where fracking might occur? Bring it, Brent, if you can.